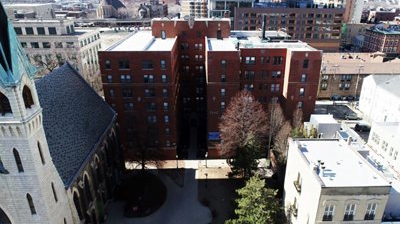 Kiser Group recently brokered 1140 N. LaSalle Drive for $38 million, with The Flats on LaSalle Condominium Association agreeing to a bulk sale of all 250 units. The buyer, ESG Kullen, acquired the property as a deconversion and will turn all of the units to apartments. The deal was brokered by Kiser Group’s Lee Kiser, Michael D’Agostino and Jake Parker. Kiser Group also introduced equity broker Alpha Capital to ESG Kullen, resulting in Harrison Street Capital becoming a partner in the deal. The 250-unit, eight-story building was originally built in 1924 as a luxury hotel. It later converted to apartments and in 2006 converted to condominiums. The condominiums are a mix of studio and one-bedroom units.